If we make a payment to you (for example for a refund or your car's earnings), you'll receive an email notification that this payment has been processed. You might not see the funds straight away, as it can sometimes take several days for your bank to process the payment. If the payment is a refund, we will return your funds through the original method of payment. This is usually a refund to the same debit or credit card you used to pay. It may take your bank 2-3 days to process this refund. If you are expecting a refund and haven't received it after a few days, please check all the payment methods you have on your account with us. If the payment is for your car's monthly earnings, this will be deposited into your bank account early the following month. See How and when will I get paid? for more information. Please note that it can take banks up to 5 days to process payments. 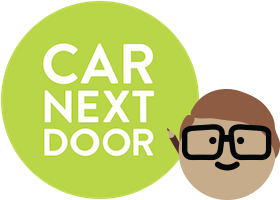 If it's been a week or more and you still have not received your payment, please email us at members@carnextdoor.com.au so that we can investigate. Sending us a photo or screenshot of your statement will speed up the process.